Anyone who has been paying attention will know that churches do a massive amount in their local communities around our country providing services and support, the vast majority of which is funded entirely at their own expense. Last year Jubilee+, which is part of the New Frontiers churches network produced a report attempting to measure the extent of this work. Time spent by volunteers in UK churches on local social action initiatives is estimated to be 98 million hours per year. In spite of the current economic climate, funds given by UK church members that are spent on social action initiatives are £342 million per year. The average number of social action initiatives undertaken by a church is 8.2 – there appears to be a rapid diversification in these initiatives along with an increase in resources and also putting existing effort and resources to new uses. “If we were to fully cost volunteer time (some of which is quite specialist) and paid staff time at average wage of £500 per week or £12.50 per hour then the cost would be £1.925bn. Once you add in the use of facilities and direct financial contribution, one can see that the total contribution to social initiatives is probably above £2.5bn per annum.” said Geoff Knott, author of the report. One of the biggest changes in the way that churches engage in social action is through the use of franchising models. This is not a method of attempting to turn churches into businesses, but rather finding existing projects developed by local churches that work effectively and looking at how these can be replicated across the country by others in their own communities. Probably the biggest driver behind this approach, which is known as Community Franchising, has been the Cinnamon Network and given the importance of the role it currently plays it is rather embarrassing that it has only been mentioned in passing by this site so far. The Cinnamon Network began at the end of 2010 in response to growing social need, public sector reform, increasing recognition of the role of voluntary organisations and the economic cuts. Matt Bird, a Christian business relationship consultant, gathered a group of 50 Christian CEOs and leaders who were challenged to consider how the Christian community could deliver more local transformation at national scale and to do so at speed. Through the Cinnamon Network, churches can access government funded micro-grants to set up and establish a range of initiatives. These include projects to help ex-offenders leaving prison to find work and safe housing, money advice and debt counselling, food banks, street pastoring and support for the homeless and other vulnerable groups. Currently over 3,500 churches are running Cinnamon Network recognised projects providing more than 50,000 volunteers impacting the lives of 700,000 people. 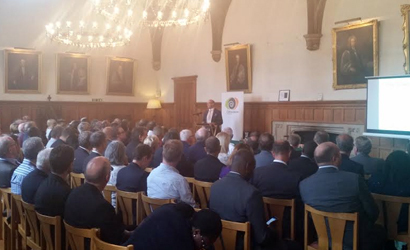 This afternoon the Cinnamon Network launched a new national initiative at Lambeth Palace with the aim of answering the question ‘What difference do faith groups make to society?’ Cinnamon Faith Action Audits will measure the work done by local churches and other faith groups across the UK. the audits will record faith-based social action in up to 50 regions, creating an extensive picture of the time invested, resource created and the impact on communities in 2015. The audit will begin in January 2015 with local champions will speaking to all of the faith groups working in their area, gathering everything needed for the audit to be completed. 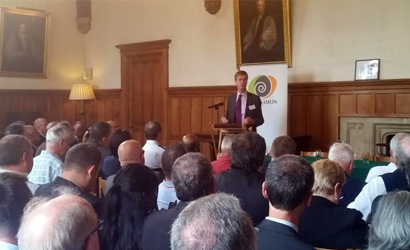 The Cinnamon Faith Action Audit is supported by the Metropolitan Police, Association of Chief Police Officers and the All Party Parliamentary Group for Faith and Society along with other partners. The intention is for the results to be published soon after next year’s General Election. They will be presented to church and community leaders, local authorities and government bodies and will be expected to provide a compelling case for the continuing role of churches and faith groups in changing society for the better. At a time when churches and other faith groups are increasingly providing a safety net for those who fall through the gaps in welfare provision, it is important that leaders governing at local and national levels are aware of the extent to which this is happening. Whichever party or parties come to power at the next election, it is crucial that they acknowledge the position and work of churches and the value of them engaging in the public sphere. Although respect has grown in government in recent years, there are still calls from some quarters to limit the valuable work of faith groups. There is still a lack of awareness that a desire to follow Jesus’ example and serve all those in need irrespective of their beliefs is the primary driving motivation for churches’ engagement rather than any disingenuous intention to force their beliefs on those in vulnerable situations. Church attendance may continue to drop but our churches’ interventions in society are on the increase. If ever there was a sign that genuine belief in God when put into action transforms lives, then this is it and the Cinnamon Network Audits should provide yet more evidence that is both welcome and valuable.